Porsche Macan Performance, Engine, Ride, Handling | What Car? Initially, you’ll only be able to choose between two engines starting with the entry-level Macan, which uses a 2.0-litre turbocharged petrol engine that’s shared with the Volkswagen Golf GTI. Power is 242bhp – slightly less than in the pre-facelift model, because a particulate filter has been added to reduce emissions. 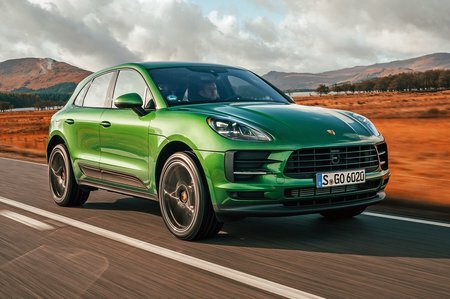 Despite the fact that the Macan weighs nearly 1900kg, performance is brisk, with 0-62mph taking as little as 6.5sec with the optional Sport Chrono pack fitted. The 349bhp petrol Macan S would be our pick. It's much faster than the 2.0 with 0-62mph taking a rapid 5.1sec, but it does its best work at higher revs, no hardship as it sounds rather fruity. Besides, even if you're not wringing its neck, it still feels more muscular than the 2.0-litre and more in keeping with the Macan's sporty remit. If that's not fast enough, expect 400bhp+ Turbo models to appear in the fullness of time. 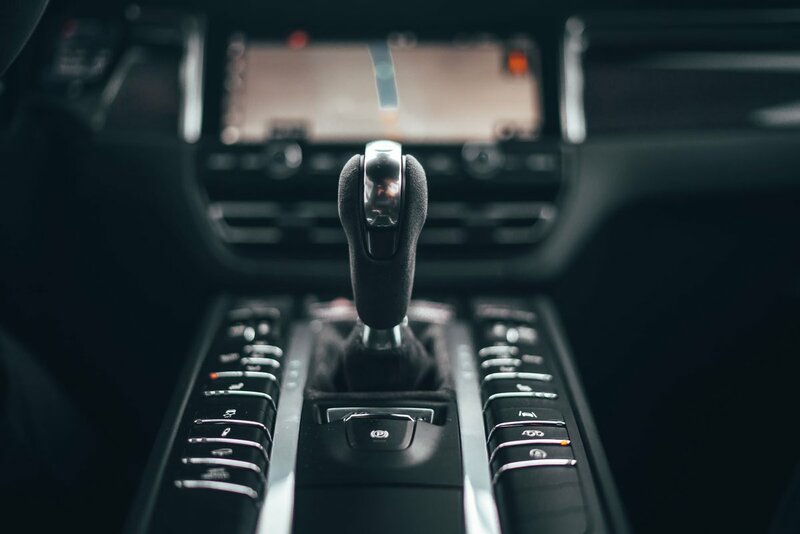 Whichever Macan you choose, a seven-speed automatic gearbox is standard. It’s quick-shifting on the move, and is obedient in manual mode. The Macan is distinctly sports-oriented and, on its standard springs, is firmer than the best-riding SUVs, such as the Audi Q5. Even so, it’s compliant enough for everyday use, especially if you avoid ticking the box for big optional alloy wheels. You can upgrade to Porsche Active Suspension Management (PASM), an adaptive damper set-up that allows you to vary the suspension stiffness. It’s worth thinking about if you want a more rounded ride and handling balance. That’s improved further if you add the pricier optional air suspension – which is what we recommend doing. Over sharp-edged ruts, you still feel a little jiggled about on scruffy town roads, but it isolates you from anything jarring. And it doesn’t crash heavily like some rivals do, still cushioning you over speed bumps and staying relatively comfortable on motorways even on big wheels. All Macans have a Sport button that sharpens the steering, gearchange, accelerator response and – if you’ve specified air suspension or PASM adaptive dampers – the suspension. Especially with Sport mode engaged, it’s clear that Porsche has made the Macan one of the most entertaining SUVs you can buy. Even when judged against the most dynamically proficient cars in the class, such as the Jaguar F-Pace, the Macan shines, thanks to confidence-inspiring steering and good body control. Yes, the Audi SQ5 has more front end grip, but you’re much more aware of the rear axle receiving power on corner exit in the Macan, making it feel more fun. 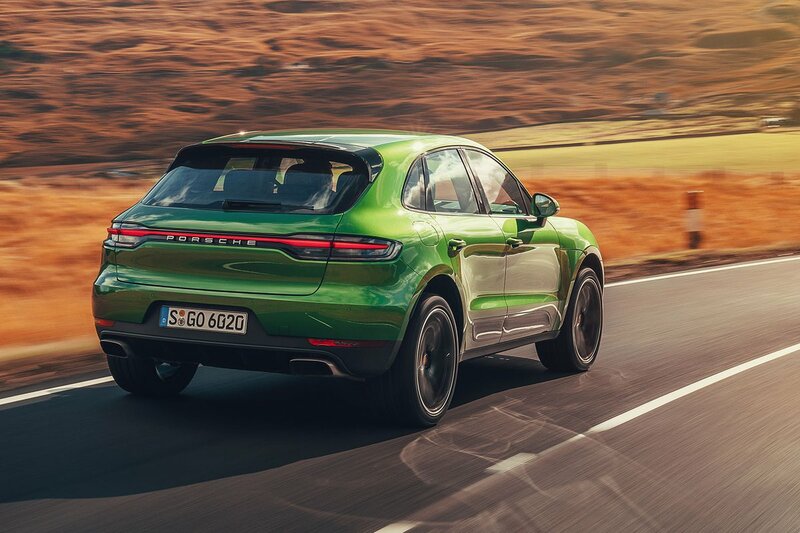 If anything, the chassis is too good for the four-cylinder Macan; yet another reason for opting for the V6 engined S. Bear in mind that it’s all relative, though; while the Macan is great for a tall SUV, any notion that it handles like a sports car – or a well-set-up saloon, for that matter – is erroneous. If you plan on taking the Macan off road, you’ll be pleased to know that it has a standard Off-Road button that adjusts the traction control settings and gearbox (and sets air suspension to its highest ride height if you’ve added it) for optimal off-road handling. Hill descent control is also standard, so the car will maintain a steady speed down steep, muddy hills. For all its sportiness, the Macan is a pretty relaxing cruiser when you need it to be; both the 2.0-litre and 3.0-litre engines are hushed on the motorway and wind noise is well suppressed. That said, there is noticeable tyre roar at higher speeds and over certain road surfaces the big tyres create a slight resonance that travels up through the steering column. It’s far from irksome, but it doesn’t isolate you to the degree that the Q5 does. On the open road, the seven-speed dual-clutch automatic gearbox is very good, delivering near-imperceptible changes at precisely the right moment, although it can be a bit jerky at parking speeds. The well-judged pedal weights also help to make it easy to drive smoothly and contribute to the precise, upmarket feel.